Please note our packages CANNOT be changed. If we do not have a package that suits your requirements, services will be charged individually. A booking deposit equivalent to the cost of your trial is taken at the time of booking. Please note that this is a non refundable deposit. Paying this deposit is your agreement to our Terms and Conditions. Your wedding date is not secure until a deposit has been received and will therefore be available for other bookings. The received deposit will be deducted from the agreed total wedding day balance. Any discount applied when booking, only applies at this time and does not apply when adding on extra services at a later date. Discounts will be made void if a service is cancelled from the original quotation. We reserve the right t0 insist on a minimum sized bridal booking, during our peak times, including Saturdays. If you would like to reduce the size of your booking once the deposit has been paid, this is at the discretion of you artist. Travel is free of charge for the first 10 miles, after this a travel charge of 50p per mile will be applied from your artists home postcode. The Congestion charge and parking fees (where applicable) will be added to the total balance. 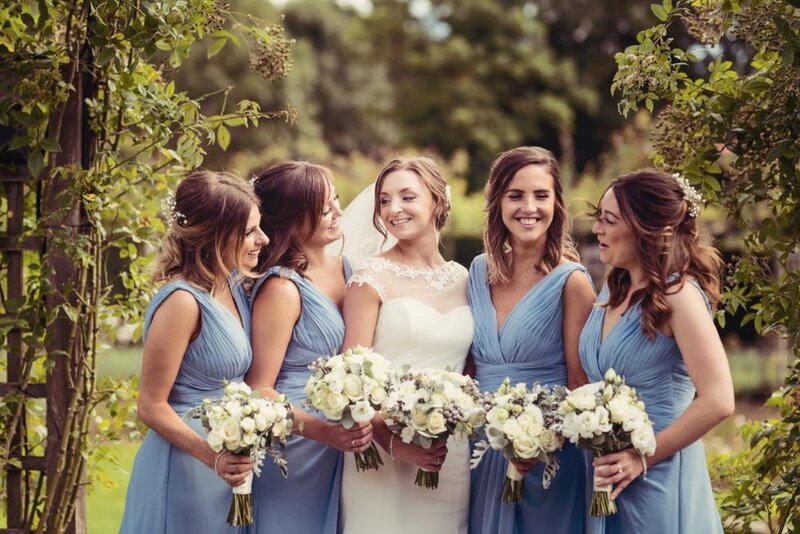 For large bridal parties or early ceremonies we may require to book an assistant artist. There will be an additional charge of £50 per artist. Final payments are payable 6 weeks prior to your wedding date. An invoice will be sent 7 weeks prior to the wedding date. In the unlikely event that your artist is unable to attend your wedding date due to illness or unforeseen circumstances, an alternative qualified artist will be found. If cancelled in writing up to 8 weeks before the wedding date. – Deposit only is payable. If cancelled between 6-2 weeks before wedding date 50% of agreed total is payable on the agreed date. If cancelled 2 weeks before wedding date or less - Full payment is due on the agreed date.